Motorists will be able to sell unused energy from their Electric Vehicle’s lithium-ion batteries back to the grid in an exclusive deal between vehicle OEM Nissan and Spanish electric utility company Endesa. 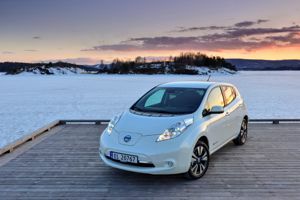 Nissan signed the agreement to bring to market Endesa’s, an Enel Group subsidiary, vehicle-to-grid (V2G) system during the 85th Geneva International Motor Show. Daimler, Ford and Nissan have signed a three-way agreement to collaboratively develop fuel cell electric vehicles to accelerate getting the technology onto the road. The deal will see each company developing its own vehicle but with a common fuel cell system, sharing development and investment costs. The companies hope to have affordable fuel cell EVs ready by 2017 with common components to standardise and define global specifications for the technology and encourage faster commercialisation. Each company will invest equally to develop a common fuel cell stack and fuel cell system that each company can use in their individual FCEVs. This work will be done at several sites around the world to speed up engineering development. A similar agreement was made by Toyota and BMW in June 2012, and extended in January 2013, to develop a fuel cell system for a lightweight sports vehicle. The ‘second life’ potential of batteries is a hot topic at the moment with the rise in EVs meaning more lithium-ion batteries will be in circulation, including the Nissan Leaf being mass-produced in the UK from 2013. ABB and Zero Carbon Futures are both researching the potential utilisation of ‘used’ batteries. When the batteries come out of the cars they would still have around 80% capacity, this would reduce the range of the car but still be sufficient to be put to another application. Zero Carbon Futures, working alongside Nissan, are researching the energy storage potential of the used batteries for home energy management systems.